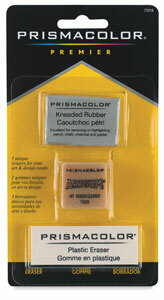 These three versatile erasers are excellent for removing or highlighting pencil, chalk, charcoal, and pastel. 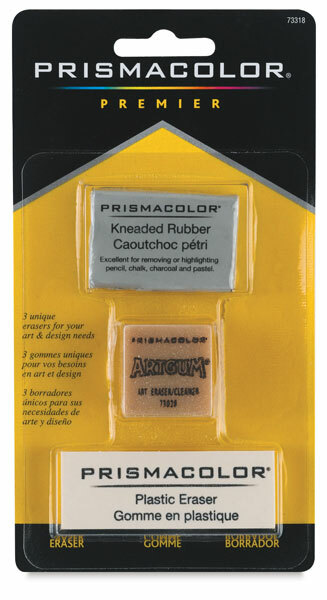 The multi-pack contains a Kneaded Rubber eraser, an Artgum eraser, and a plastic eraser. ® Prismacolor is a registered trademark of Sanford Corporation.® Artgum is a registered trademark.